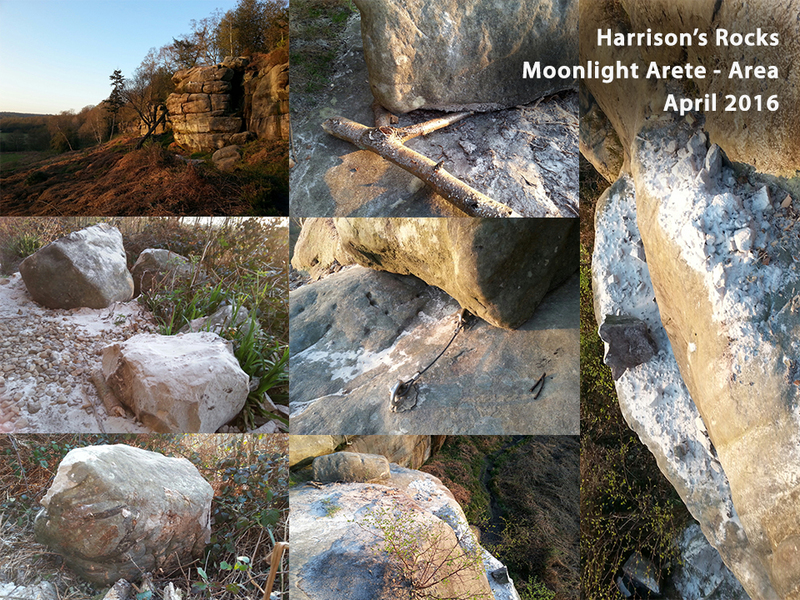 The large boulder which used to rest above Moonlight Arete and Monkey's Bow at Harrison's Rocks appears to have been levered off by vandals. This could well have happened on evening of Saturday 16th April. The large boulder used to rest a safe distance from the edge on a flat surface to not cause any problems, and could not have fallen on its own accord from it's original position. The large boulder now rests at the base of the crag and has left rather a mess at the top of Monkey's Bow. 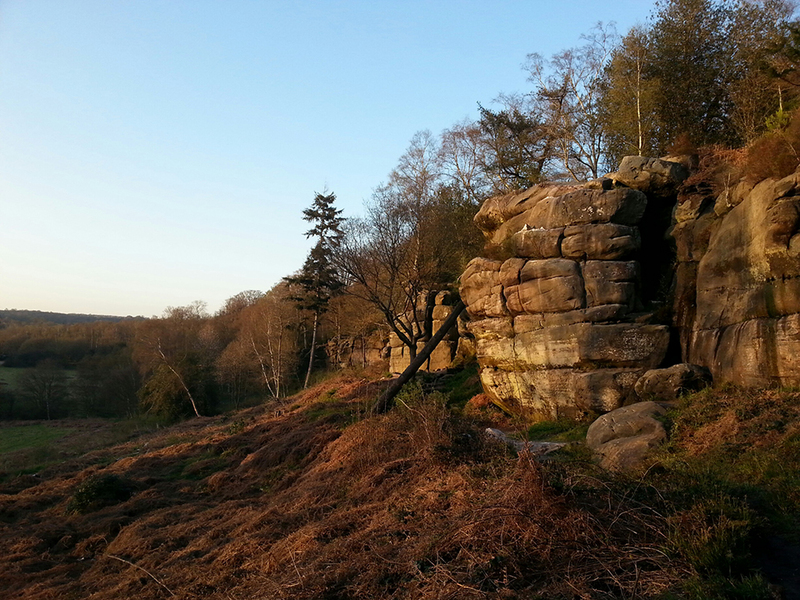 Another nearby boulder was also moved, with an attempt to also lever it off the edge, but the bolts of Moonlight Arete seem to have stopped the culprits. 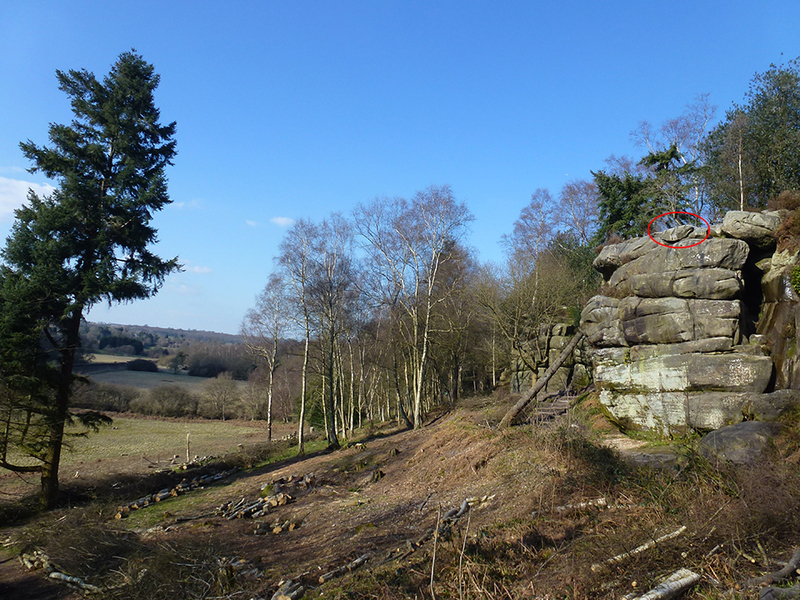 Amazingly there is no damage to the crag itself expect for a few scrapes at the top, but this is still totally unacceptable behaviour on BMC owned land. Remains of a fire and disposable BBQ just by these boulders were also found at the top of the crag, which is also forbidden due to the damage BBQ's can cause to the rock and the obvious fire hazard in woodland. If anyone has any information, please let us know by our Facebook page. Investigations are on-going by the Harrison's Rocks Management Group.